In this workshop you will generate new ideas for creating abstract art and think deeply about color and composition through the fun, accessible medium of collage. We will experiment with color composition, layout, gluing and connecting techniques. 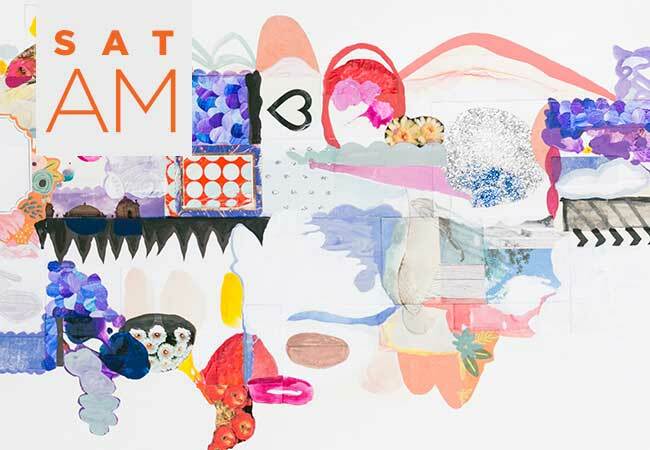 You’ll learn ways to connect forms and shapes with drawn and painted line work to elevate your collage work. This is a wonderful opportunity to re-purpose and give new life to old painting, drawings, prints, and photographs—if it's on paper and it's okay to cut it up—you can use it! Students are encouraged to bring old artworks they’d like to give new life to. Open to artists of all levels of experience. Instructor will also provide additional scissors and glue but if you have matte gel medium, Mod Podge, or Yes! Paste, please bring this in. ​Student parking available in back lot. 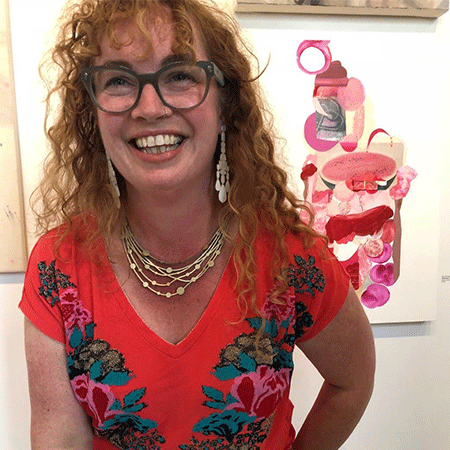 ​Erin McCluskey Wheeler's mixed media paintings are process-oriented, beginning with a scrap of a painting, an experiment in color, or a found photograph. Erin pieces the papers together following colors, forms, and shapes—building up layers of collage material then drawing and painting over with gouache and acrylic to create bright, densely layered paintings. There is often the suggestion of topography and water, botanical forms, and big curves of space. Erin is represented by Jen Tough Gallery in Benicia, CA and has limited edition prints of her work are available through West Elm and Minted.